Amazon and its personal assistance service Alexa are partnering with HERE Technologies to create a new connected mobility service powerhouse. Alexa will integrate with HERE's navigation and location services to offer what the two companies are calling a "true voice-first-navigation experience." Alexa will come pre-integrated with HERE navigation on-demand, which the automakers can then enable, which should help cut down on development time. One of the biggest features from this partnership is how directions could be offered and delivered using HERE's Open Location Platform (OLP). Currently, the OLP uses data from several car manufacturers to provide insights into real-time location and traffic. But on Alexa, this could be used to provide directional context. For example, Alexa could say, "Turn right after [such-and-such a building]" rather than just, "Turn right." Amazon has been testing the automotive waters throughout the past decade. Its home-based Alexa-enabled devices are already offered with connections to several manufacturers. To various degrees of integration, it can already pair with Ford, Genesis, Toyota, Lexus, Hyundai and BMW vehicles. At the end of 2018, Amazon took things a step further when it introduced the Echo Auto, a Bluetooth-connected Alexa assistant device that can be physically kept in a car. 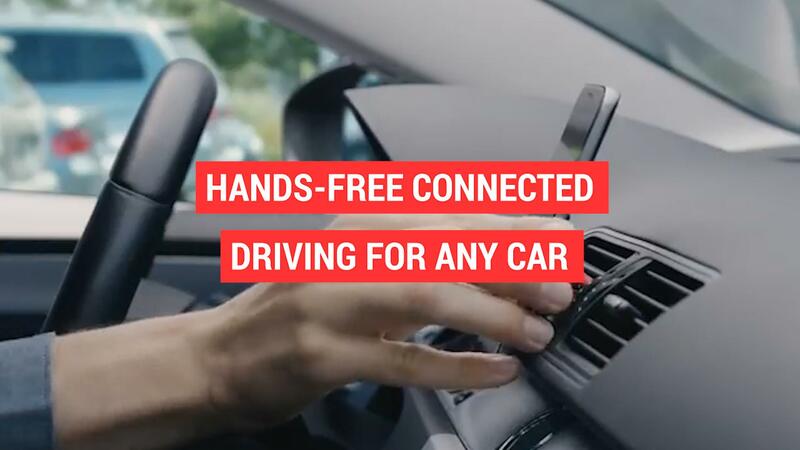 Currently only available by invitation (its production and distribution have been delayed), the $25 device is essentially a voice service that works together with smartphones and connects to a car's speakers. Users can command it to do a variety of things, including playing music, setting navigation, opening the garage door, finding local stores, making calls, setting reminders, and thousands of other "skills." According to The Verge, nearly 1 million people have already ordered the device. Some (well, probably few) may know HERE Technologies from its maps on Windows Phones. We all know how that turned out, though. Today, HERE has expanded into a multi-function suite that is available in multiple mediums, including many automotive applications. HERE Automotive's connected vehicle services include real-time traffic, parking, weather, fuel prices, hazard warnings, traffic sign integration, and even EV charging stations. These all incorporate and extend the use of HERE's location and tracking programming. HERE is already partnered with BMW, Audi, Daimler, Intel, Mobileye, NVIDIA, and has investments from Bosch, Continental and Pioneer. It says it has navigation services embedded in more than 100 million vehicles globally. The partnership is yet another indication of the future of connected services. Everything will be linked and fully integrated to work together, including the home, personal devices, automobiles, and eventually roads and surroundings. This also allows even more tracking and data-collecting by major corporations. Partnering on technology means sharing data. For those who aren't worried about the techno-takeover, though, the capabilities of Alexa on the road are virtually endless.